Well, I guess I couldn’t stay away forever. I am back on the air, and I am so excited. In the last episode, I told my listeners that I was going to put the podcast to rest, but I did leave the door a little open for my eventual return, and after a year away from my microphone, I am back. The main reason is because, like I say in the episode, I have discovered my purpose in life. I know that sounds a bit “out there,” but it’s true. I have found out what I’m supposed to be doing - helping others attain more success in their lives. I guess that’s why I get so much happiness when I’m blogging or writing or podcasting. I’m helping other be more successful. I learned a lot from my first go-round as a podcaster. I’ll be balancing my time with family and work a little better, so I can continue doing what I love to do – help others. I won’t be able to have as many guests on the show as I did before. The podcast will be me sharing what I’ve learned over the years as a classroom teacher and as a school administrator, along with the lessons I’m still learning from the amazing educators I come in contact with either in person or through their books. I’m addicted to audiobooks. 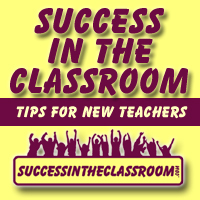 In this episode, I share how teachers can have amazing success with THAT student. You know who I’m talking about – THAT student who gets on your last nerve, and who, if he would only choose to take school seriously, your life would be so much happier. You know who I’m talking about. It is possible to have amazing success with THAT student. You just have to modify your BLAME page. Check out the episode to find out what I’m talking about. I would love to hear what you think about the new Amazing Teacher Podcast. Send me a message via Twitter at @SamRangelSITC.